Preschoolers in one of the first classes Mary Turcan Majewski, EFDA (shown) taught during National Children’s Dental Health Month are now turning 27. 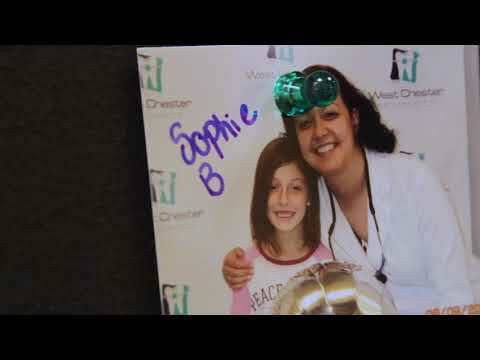 Mary, as part of the duo from Watkins Dental Group in Dallas, Pennsylvania, provides dental education in the community. She explained a bit about the 30-minute program she and colleague Jennifer Clarke, RDH, have been sharing for 24 years at schools, day care centers and Head Start programs. Proper brushing habits, insight on healthy, and unhealthy, foods — all part of the package. Mary noted that she and Jennifer spend time in preparation – each child receives a gift bag complete with toothbrushes and toothpaste donated by dental distributors and manufacturers – including Benco Dental. Mary’s “ultimate, favorite part of the job” in her 38 years working at the dental practice: making oral health education a fun experience for children. These two dental professionals have educated 10,000-plus children, and though delayed by the inclement weather this winter, they are anxious to begin their visits for 2019. Both alumni of Luzerne County Community College, they women remain involved and have been spotlighted for their preventive dentistry efforts in a publication at the college. “We are still talking to hundreds of children each year. If we can be the inspiration to these children for the start of great dental health, it makes me smile,” said Mary.